This elegant Long Sterling Silver Textured Pendant combines polished silver with a subtle texture on a flat curb chain. 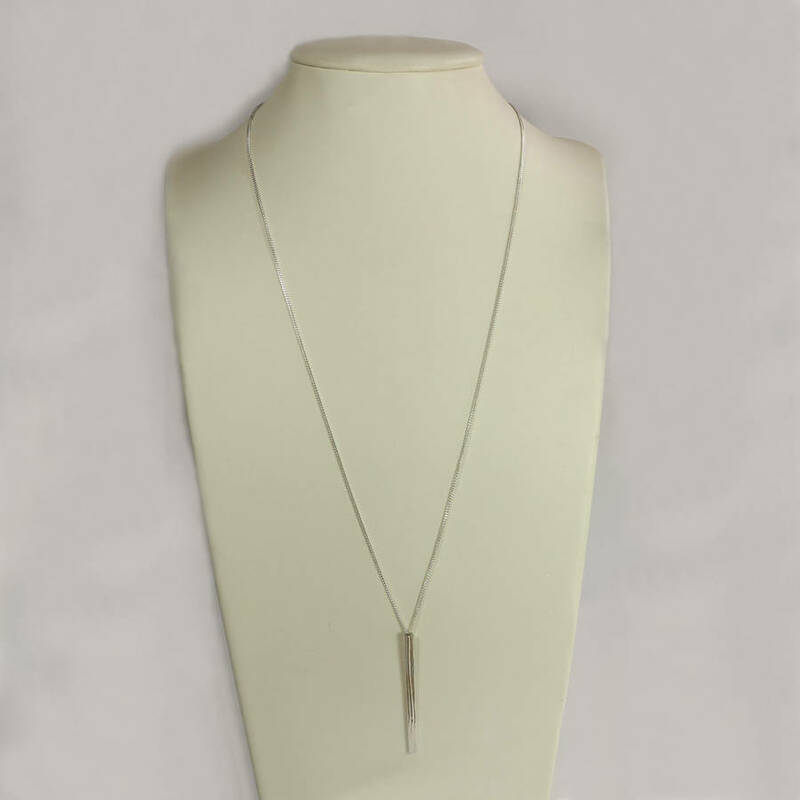 The long geometrical shape of the pendant makes it a classic simple necklace to wear all the time. I took inspiration from the trees in my garden and the texture of bark to design a textured charm. 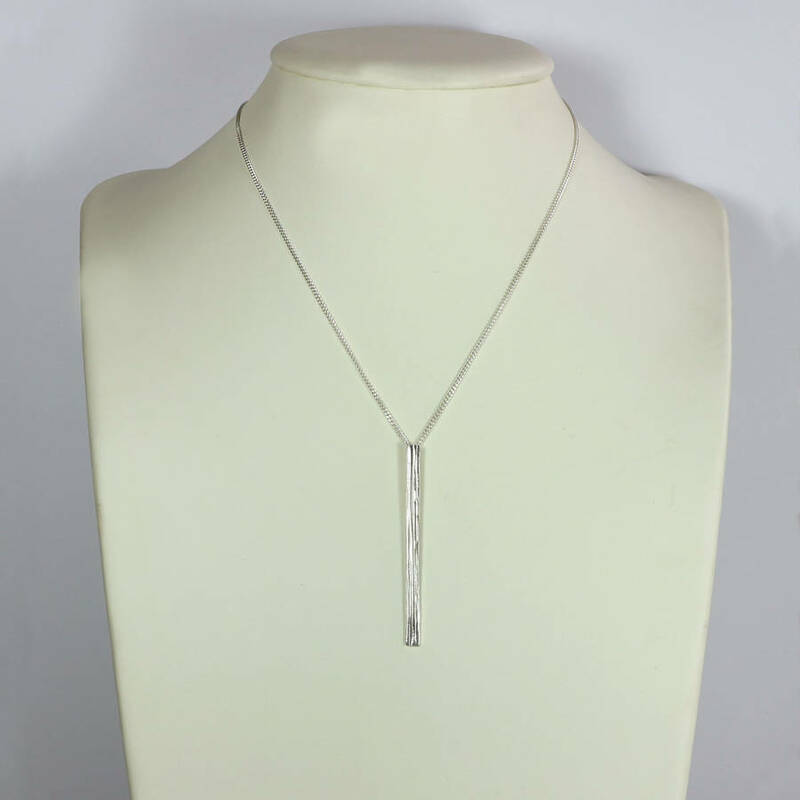 The necklace can be on 18 inch chain or a very long 30 inch chain. 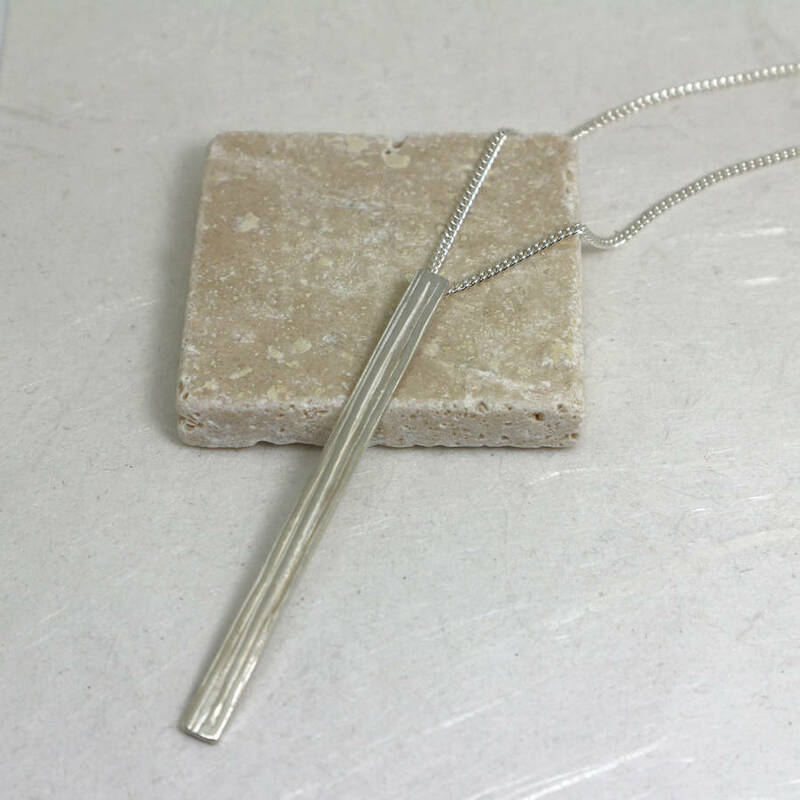 All my jewellery is handmade in my studio using traditional jewellery techniques. 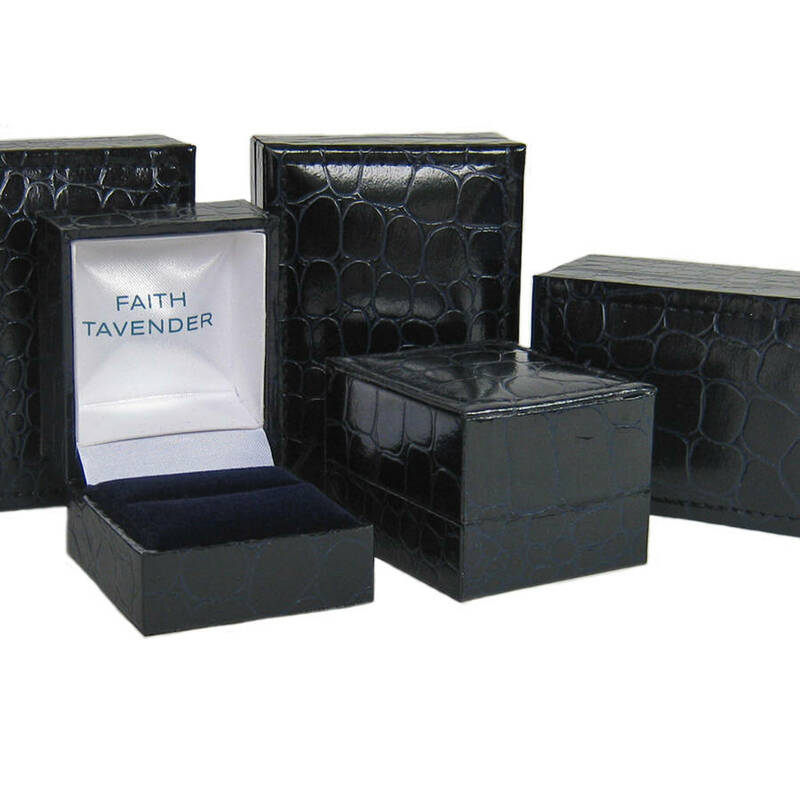 All of my jewellery is packaged in branded midnight blue boxes, and I can gift wrap the item free of charge. If you would like me to gift wrap please select a purple or blue ribbon. There is FREE POSTAGE to mainland UK with Royal Mail Special Delivery which is a tracked next day signed for service. All international delivery is dispatched with a tracked service. The charm measures 6.5cm x 0.4cm. 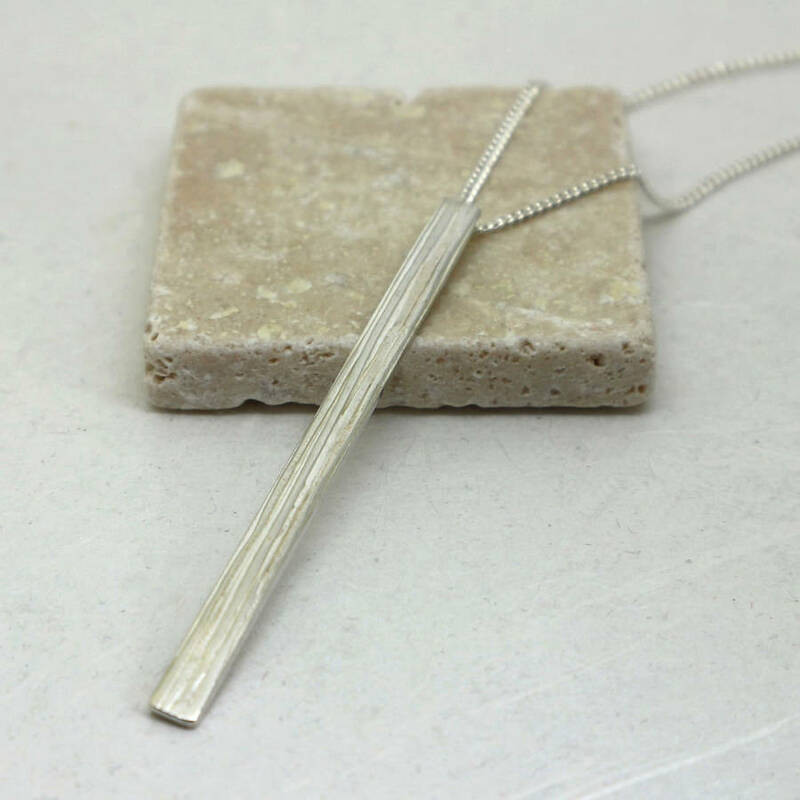 This pendant is available on a 18 inch chain (46cm) or 30 inch chain (76cm).